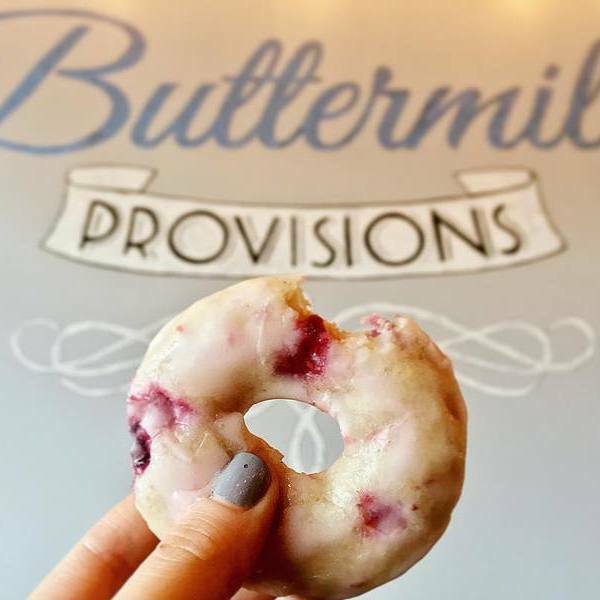 "Drop everything you're doing and go get this Vegan Raspberry Champagne donut from @buttermilkprovisions 🍾🍩🥂 ...1st, this thing was so dang delicious that I actually had no idea it was vegan until I went back to order a second one. 2nd, this is hands down the best baked donut I've ever had. No fryer needed here 🙌🏻 bonus: the staff is super awesome and passionate about what they're doing here. Tell them I say hi! ..........ps my nails are literally never painted so the fact that they match is purely coincidental, and that chip in them is killing me." Dishes for the whole famn damily.